Taylor Swift began her career in country music before making a flawless and powerful transition into the world of pop. Her fan base includes both country and pop music fans and young and old alike. Her songs include everything from classic country to ballads to catchy pop tunes. Featuring songs from her freshman album all the way through 1989, these Taylor tunes are definitely worth downloading. Swift's first single, Tim McGraw, which rose to number six on the country charts, will forever have a place in her top tunes thanks to its simple guitar track, sweet harmonies and unabashedly country lyrics. Chevy trucks, Georgia stars and faded blue jeans make up the combined imagery of a typical country song with the sincere and poetic presence of a young Swift. Another pick from Swift's first album, Our Song is arguably her strongest pure country track. It took her to the top of the Hot Country Songs charts, making her the youngest person to both write and perform a Hot Country number one hit. A playful Swift delivers just enough twang with a perfectly detailed guitar track, making everyone wish they were sneaking out to throw rocks at a lover's window. Swift's take on the Romeo and Juliet star-crossed lovers' trope, Love Story is a sweepingly romantic ballad that is a great reflection of early Tay-Tay and made it to number four on the Billboard charts. Her fairytale is carried by an interesting blend of country and pop elements and an incredibly visually appealing music video full of gowns, balconies, white horses and just the right amount of teen drama. Unrequited love is a reoccurring theme in many of Swift's songs, and this relatable highschool story pens Swift as a lovable outcast - so lovable that it took her to number two on the Billboard Hot 100 charts. The accompanying music video for You Belong With Me won Swift the MTV Video Music Award for Best Female Video in 2009, leading to the highly controversial episode where Kanye West took the stage with his alternate endorsement for Beyonce. Also from Swift's sophomore album, the song Change is about a small girl against the world. It became the first of her career to reach the Top 10 of the Hot 100. The title track off of her Grammy-winning album, which made it to number nine on the Billboard 100, Fearless might be the first Taylor Swift song to truly assert the artist's confidence both in its lyrics and its heavier, more rock-oriented instrumentation (though the song is still true to her country roots). Definitely one of Swift's most sing-a-long worthy songs, Mine has an incredibly catchy chorus and beautiful, memorable songwriting that has forever emblazoned the words "You made a rebel of a careless man's careful daughter" into collective musical memory. The song peaked at number three on the Billboard Hot 100 and topped their Hot Digital Songs list. Appearing on the soundtrack for Valentine's Day, Today Was a Fairytale not only rose to number two on the Billboard Top 100, but it also reached the top three in three different countries and was the artist's first number one hit in Canada. Back to December sees a contrite Swift apologizing to an ex-boyfriend (many fans posit that this was in fact Twilight star Taylor Lautner) and is an incredibly orchestral, lyrical and vulnerable song that made it to number six on the Billboard Hot 100, and was included in their list of the top 100 songs of 2011. The title track off her fourth album, Red was a country staple amid the pop progression that encompassed most of the album. The song peaked at number six with Billboard. With the release of Red, Swift began to distinguish herself as a crossover artist. We Are Never Ever Getting Back Together features synthesizers and an electronic drum beat, heralding in a new pop-based era for Swift and an impressive number one position on the Billboard Hot 100. Even more impressive: the song set a record for the best digital sales week ever. Taking Swift's evolution from naïve country sweetheart to damaged yet whimsical pop artist even further, this gritty song sees a hardened Taylor. Random dubstep elements, a quivering and contemplative opening voice track, a pink-haired Swift and a legitimate "beat drop" signal I Knew You Were Trouble (When You Walked In) as one of Taylor's most iconic and transformative songs. It peaked at number two on the Billboard Hot 100 and number one on the Mainstream Top 40. A heart wrenching ballad about starting over, Begin Again is Swift at her sophisticated song writing best, evoking incredibly specific images and memories like "I've been spending the last eight months thinking all love ever does is break and burn and end. But on a Wednesday in a cafe I watched it begin again." The song charted at number seven on the Hot 100. Though it often takes a back seat to the other more publicized singles off Swift's fifth studio recording 1989, Style is one of the most lyrically evocative songs from the album. An undeniable nod to ex-boyfriend Harry Styles, the song is jaded yet ethereal, with some funk and disco elements that prove Swift's versatility as a singer/songwriter. This song can't help but endear you to Taylor Swift. Often criticized for her highly publicized romances, Swift fights back in this song, parodying her public image with over the top lyrics and a hilariously hyperbolic video in which she casts herself as a nightmare (she weeps uncontrollably while trashing her boyfriend's car with a golf club). With a catchy electro-pop beat and the refrain "boys only want love if it's torture," Blank Space made it to the top of the Billboard Hot 100 and made Swift the first woman in the chart's history to beat her own song out of the number one slot. Shake It Off demands attention and introduces a bolder, funnier, more artistically diverse Swift, debuting at #1 on the Hot 100. Its dance-pop beat and brief rapping interlude mark an undeniable divergence from any of Swift's previous albums, including the pop work of Red. Add to that a video in which Taylor Swift attempts to break dance and dons what can only be called a Lady Gaga-inspired visor and the song is about as charming as can be. Taylor's reputation got a facelift with the release of the number one smash hit Bad Blood, as its remix features Kendrick Lamar and its video features a host of other celebrities. This was the fourth chart-topping single from her album 1989. Seemingly every song released from 1989 was destined to be a commercial hit, and the ethereal ballad Wildest Dreams is no different, becoming the fifth song off the album to reach number one. Only one other artist has had more hits from a single album reach the top of the Billboard Hot 100: Katy Perry, who has six. Born December 19, 1989, Taylor Swift began earning acclaim for her writing when she was 10 years old, when her three page poem Monster in My Closest earned her a national poetry award. She also wrote a 350 page novel over her school summer break. Her original goal was to get into acting, and before breaking into the music industry she had a short stint with TheaterLive!, a live comedy group for kids inspired by Saturday Night Live. Swift tried to get her first record deal when she was 11 years old by going to Nashville and dropping off demos at record labels. She wasn't successful, but her family moved to Nashville so she could be closer to the country music industry. She was offered a development deal by RCA when she was 14 but she ultimately rejected it after they refused to allow her to write her own songs. An executive from Big Machine Records caught one of Swift's sets at Nashville's unsigned musicians haunt, Bluebird Café. He signed her to the label when she was 15. Around the same time she was hired by Sony Publishing as an in-house songwriter. Swift was the youngest person ever to land such a deal. 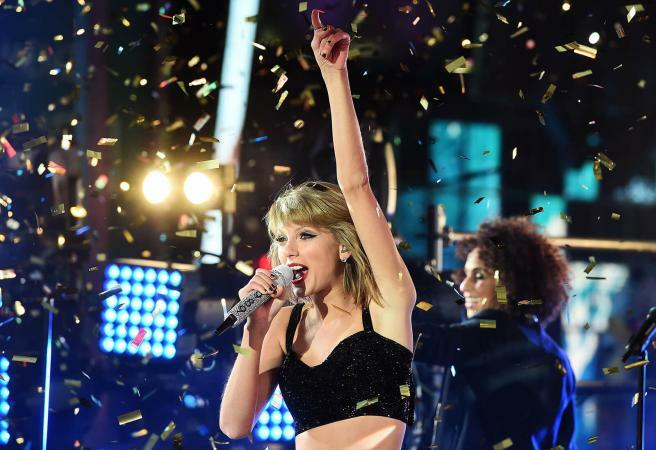 Taylor Swift has released five studio albums thus far. Her first single, Tim McGraw, was released in 2006. Her self-titled debut album, released later that year, went triple platinum. Her second album, Fearless, was released in 2008 and won the Grammy for best album and best country album. Swift's third release, Speak Now, was written entirely by Swift herself and was nominated for a Grammy for best country album after debuting at number one on the US Billboard 200. In 2012 Swift began her pop transition with the wildly popular Red which welcomed a new sound and a more mature Swift. Her fifth album, 1989, was released in 2014 and is Swift's biggest commercial and critical success to date, reaching 5x platinum and garnering the artist seven Grammy nominations. Over the course of her career, Swift has made the impressive transition from eyelash-batting country girl from Nashville to all-out pop star phenomenon. She's dominated several musical genres, beat out Beyonce for music video honors, and managed to make art out of all the criticism that has come her way. Taylor Swift has kept her fans and critics (and the music industry as a whole) on their toes, anticipating the next move from this powerhouse songwriter.